I'll be putting up my next update on my 1994 Williams in the next day or two. Those @#$%& are everywhere. rF2 also had (or still has, dunno) paymods that look heavily based on GP4 stuff. ASR or something like that was the name of one of the groups I seem to recall. Asked for a 50% cut, sure as hell they'll just ignore it. Can't see your comment though, guess they blocked them until verified, which means it'll never show. Edited 1 time(s). Last edit at 03/07/2019 02:12PM by quickslick. > one of the groups I seem to recall. I think ASR might be one of the legit ones actually. 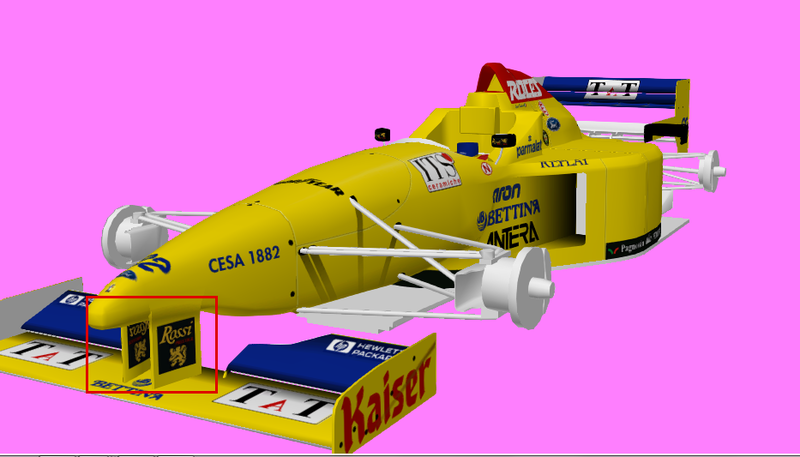 Some of their mods - their Jordan 191 for rF2 I think - are conversions, but they normally acknowledge it. 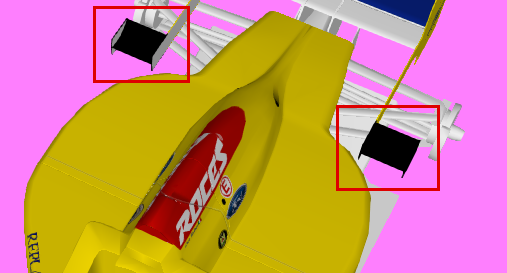 Further, of their models that I've downloaded, the meshes are far too detailed and well smoothed to have been straight-easy GP4 rips. > > one of the groups I seem to recall. > have been straight-easy GP4 rips. As said it's been a while, and those groups all seem to have similar names these days. Can't you get better looking meshes simply by subdividing surfaces already? Slightly modify it, and have people think it's legit. > people think it's legit. To an extent. Once a model has been exported into the GP4 format, it loses a significant amount of information and, more importantly, ZModeler (and GP4 Builder) are very limited in what they can export. Subdividing and smoothing could get you so far - the links that Fongu posted at the top of thread look about right for that result - but it leaves signs of the process that it's gone through. Edited 1 time(s). Last edit at 03/08/2019 10:07AM by fongu. Edited 1 time(s). Last edit at 03/12/2019 12:46PM by fongu. It's been an incredibly busy month for me, so work on my 1994 Williams has grounded to a halt, but I plan time to return to modding soon. 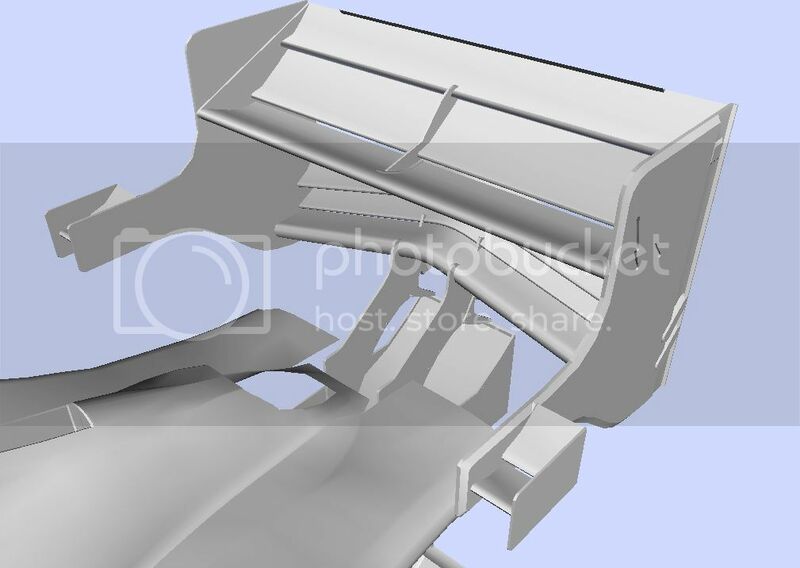 In the meantime, my blog continues to develop, with the 1996 Sauber C15 Ford being featured next - much thanks goes to Bernard for his part in this car, perhaps there maybe another opportunity to work together in the future? The Jordan overview is planned for next week It's weird, whoever mapped it and put it back together again for GP4 has done it in a very odd way and certainly not how I intended it. Edited 2 time(s). Last edit at 04/19/2019 01:29AM by fongu. Absolutely. I took a 'quick' look the other day and ended up going through the whole thing. It definitely improved my appreciation of the passion and effort the best modders are driven to put into their cars. Excellent work Fongu, thanks.